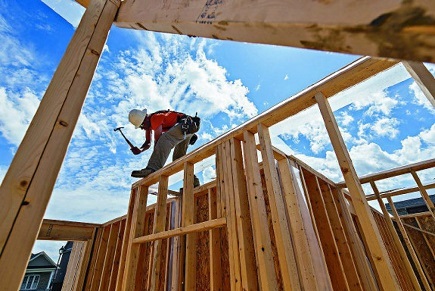 Augmenting the supply of homes in Toronto by improving the rate of new construction is key to addressing the city’s long-running affordability situation, according to the Ontario Real Estate Association. Hudak argued that the government should decisively intervene by removing the bureaucratic roadblocks that currently surround new home construction, as this would be the best way to improve supply in the high-demand, high-volume Toronto housing market. “You can have housing prices be bid up so the next generation can’t afford a home, or you can increase housing supply to give more choices in the marketplace,” Hudak said, as quoted by the Toronto Sun. Recently, Finance Minister Charles Sousa has indicated that the provincial government might be preparing to apply measures such as a foreign buyers’ tax to help remedy the Toronto situation. Last month, Ontario’s Financial Accountability Office warned that the province has become heavily dependent on the health of Toronto’s housing sector, and that that even a small downward correction in the city’s home prices will lead to the Ontario suffering billions in losses. “In the first decade of the 2000s, that revenue ranged between about $1 billion and $1.5 billion a year; in the last few years, it's risen to $2.5 billion,” markets observer David Reevely stated. The FAO estimated that a 10 per cent decline in real estate prices would affect provincial revenues by $1.1 billion annually by 2020, and by as much as $2.2 billion every year in the worst-case scenario.